We work in partnership with individuals of all ages to break down the barriers to physical function whether that means working with patients pre and post surgery, helping people come back from illness and chronic disease, injury, industrial and motor vehicle accidents and age related conditions. Pain-free movement is crucial to your quality of life, your ability to earn a living, and your independence. We work collaboratively with our patients. Treatment plans are designed for each person’s individual goals, challenges, and needs. Before you undergo expensive or invasive surgery, try us. For some conditions, treatment by our team has been found to be as effective as surgery. Our commitment is to provide the highest level in quality, effective and professional rehabilitation solutions. We intend to help our patients get rid of their pain, we help them get their lives back again. We make people better! Dr. Divya Gaur has more than 10 years of clinical treatment experience. Her extensive general practice knowledge and acute injury assessment experience has been acquired through her long involvement with various treatment centers. She also regularly lectured to Physiotherapy students on crucial subjects of physiotherapeutic in cardiothoracic and intensive care & PT general. 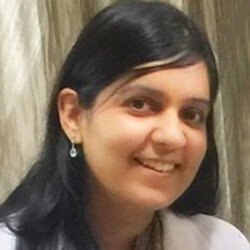 Divya is passionate about educating and inspiring her patients to improve their general health and well being. She puts her breadth and depth of expertise to help her patients to reach thier full potential. Physiotherapist In Delhi treat all musculo-skeletal problems including neck and back problems, sports injuries, headaches, occupational related disorders and can provide post-operative rehabilitation. Our approach to management usually involves you taking an active role in your rehab. You learn very specific exercises to regain normal function and how to incorporate this into your habits and postures. Of course we use manual therapy, taping and dry needling to help things along as needed. At PhysioHeal Physiotherapy Clinic we have the specialist expertise to diagnose your problem, give you individual attention and treatment, spend time with you and show you how to prevent a problem happening again. If you have an injury, a pain or just feel unfit, everyday tasks seem harder. Please feel free to visit us. Best Physiotherapist In Delhi our motive is to offer you affordable, friendly & effective treatment because we do understand that being physically well and active makes you feel good. Wonderful experience.. After I came here for my knee pain I really got relief from my knee pain after taking the service from here.. Well trained staff, great doctor and excellent service.. Good work, I really appreciate it. I had disc extrusion at L5-S1 level. I was advised for surgery from at least three to four orthopedics. It was then I met Dr Divya, she advised me to take Physio sessions for a month. I am extremely happy with the result for my back pain and the coordination of physio heal staff. I have been doing core muscle strengthening exercise also. My pain has vanished now. Dr Divya thank you for saving me from surgery. I had a chronic neck pain and back pain. Got a lot lot better in ten physio sessions.